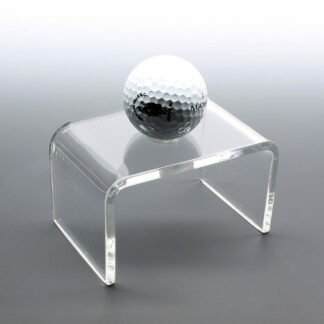 Clear acrylic 1/8″ thick display risers at wholesale. Our most popular size display riser. Made from 1/8″ thick clear acrylic. Also available in black. They make an inexpensive and still elegant way to showcase your products. A great way to exhibit lightweight products such as action figure, collectibles, jewelry, memorabilia, figurines, doll collections, model cars, phones, makeup or perfumes. Helps improve sales by creating a better presentation.